Credentials IPM pubs Client listConsulting retainerWhat is IPM? Techletter.com is the website of Pinto & Associates, Inc., a Virginia corporation, now located in Maryland. Approximately half of our business consists of consulting on pest control, including training talks. Entomologist Larry Pinto is available for talks on a wide range of technical topics for pest control training sessions and other meetings. For information on cost, click- speaking fees. 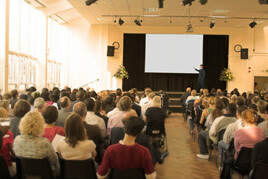 To contact us about speaking, click- training talks.